Famed Russian director, Marius Balchunas, and Russian heart-throbs Aleksey Chadov and Vladimir Zelensky film scenes from "No Love in the City" a Russian romantic comedy set in New York City. Fact: Many Movie companies still use film. 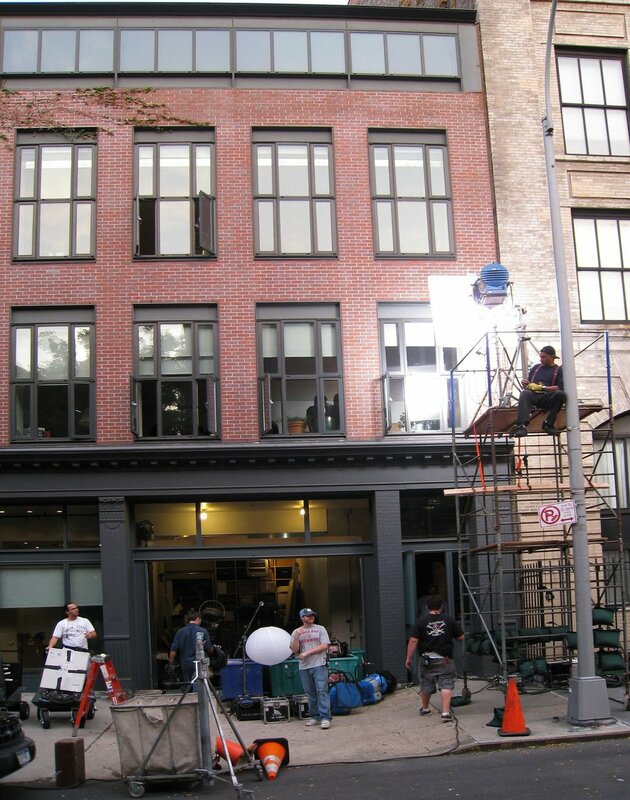 Never seen a film motion picture camera before, the grip crew attached lighting fixtures to the steal frame above the living room, providing light through the windows without using scaffolding on the street.